Flyknits (16) and Pacers/New Balance (4) in a total of 18 events. at the Gallaudet University Invitational here Saturday at the Thomas O.
Berg Track. The Bison accumulated 27 team points. and eighth innings en route to the 8-0 win in nine innings over the Bison. MSD won the championship game against Texas School for the Deaf, 18-5. It’s MSD’s third straight Hoy Tournament Champion. Jermias Valencia, the Riverside deaf coach. history to coach a post-season all-star game. The game takes place on April 29, Sunday @3:30 PM. UFC Veteran Matt Hamill defeated Chris Birchler. series of medical tests to win commission’s approval. What is your experience in sports venues? not too much information is available, though. It wants to know deaf fans’s experience with accessibility issues. 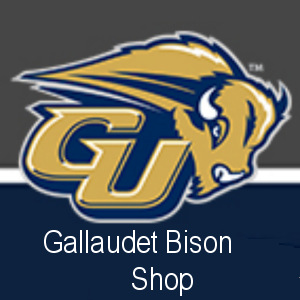 last November, is comprised of four former Gallaudet basketball players. Orion Palmer and Kristofer Saucedo. High School (two complely different schools). by John Thompson (before he moved on to Georgetown). his 1st and 2nd team players to play in the game. 1st and 2nd team players were used. St Anthony has closed its doors.